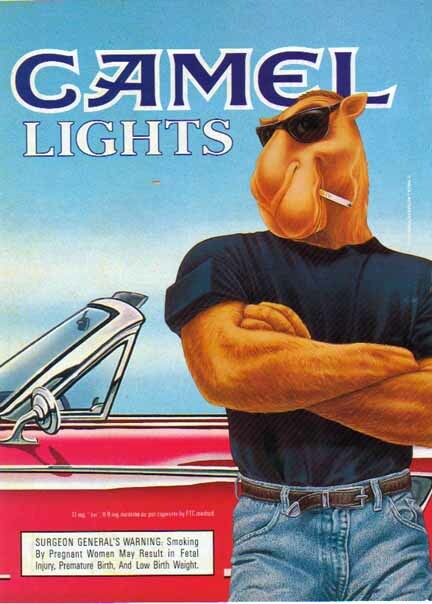 Joe Camel: Cooler than you. Joe Camel, minus five five, coolest man alive. 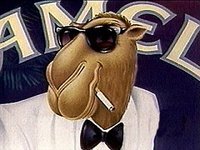 Joe Camel: Still cooler than you. grew up in the lower west side of Manhattan, an area that had been torn apart by the turf war between two Hispanic street gangs, the 'sharks' and the 'jets'. Their vicious dance off's and constant singing was driving away all the respectable residents. Torn apart by the destruction of his home Joe set off on a personal quest to discover the roots of hate and violence, an Odyssee that would lead him to the ends of Manhattan island. Joe studied with legendary master of cool The Fons, he spent many happy hours painting the fence and waxing The Fons' car, learning to become mindful, at peace with himself and how to pick out a decent set of Ray Ban's. All was well until The young Joe began learning about the dark side of cool in the dojo of Pope John Paul II. The Fon's sensed that his young pupil's powers would soon outgrow his own, so he challenged him to a duel; a large-trousered, pop-locking contest to the sounds of Vanilla Ice, and the rest, as they say, is history. After Joe shot to fame by becoming DMC champion, he was approached by The Man to boost flagging sales of Camel Cigarettes. 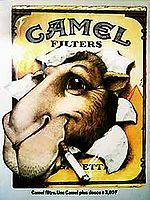 The problem was that while Cigarettes had huge health benefits and were enjoyed by many adults, children complained that they did not like the taste. All this changed when Joe became the figurehead of Camel, he showed the kids that a cigarette could look hip when combined with a leather jacket or by chewing gum whilst smoking. If you measure Joe's cool on a scale from one to ten, he comes out as badass. Want to be cool like Joe, smoking helps, and not just Camels. Any cigarettes will do, but you will never be as cool as Joe. Joe was cool before he smoked, but now he is much cooler. The assassination of Joe F. Camel, took place on Friday, November 22, 1963, in Dallas, Texas, USA at 12:30 p.m. CST (18:30 UTC). Joe was fatally wounded by gunshots while riding with his wife Jacqueline in a motorcade through Dealey Plaza. The killer was Lee Harvey Oswald, A communist, or the CIA. This page was last edited on 3 September 2012, at 09:28.